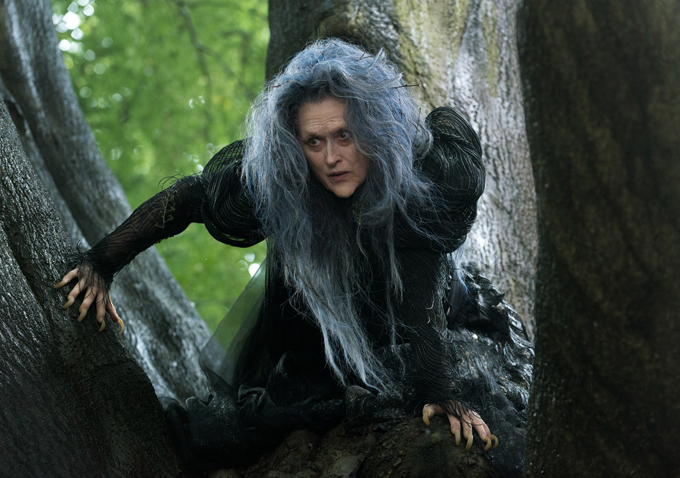 A new trailer for Rob Marshall’s adaptation of the Stephen Sondheim musical “Into the Woods” has dropped, offering the fullest look yet at the possible Oscar player. “Into the Woods” is a musical take on several of the Brothers Grimm fairy tales, intertwining the plots of the classic tales of Cinderella (Anna Kendrick), Little Red Riding Hood (Lilla Crawford), Jack (Daniel Huttlestone) and the Beanstalk, and Rapunzel (MacKenzie Mauzy)—all tied together by an original story involving a baker and his wife (James Corden & Emily Blunt) and the witch who has cursed them (Meryl Streep). Marshall is the acclaimed filmmaker behind “Chicago,” which won the Best Picture Oscar in 2003 and is credited with helping spark this millennium’s return to musical filmmaking. The trailer shows many of the characters uttering the phrase “I Wish;” a phrase that sets the actions (and consequences) of the story into motion.